So you have a great product and a motivated sales team just chomping at the bit to make appointments, hit the road and present your great idea to the world. Problem is. . . your product is hastily packed into a corrugated box. . . lacking any external branding. . . and once at the client’s, the set up time is killing the deal!!! To top it off, your box just scratched the “potential’ customers $2000 conference table. Now you look bad. . . really bad. That’s not good and you probably won’t get another chance with them. Well, here at Alpack Associates, we can help you. Big time. Our extensive experience is matched by our ability to design and manufacture a perfectly suited solution to your EXACT needs, no matter the product or industry. We’ve already done it, with hundreds of companies of all sizes. And most importantly, we’ve been where you are. We’ve learned from all the mistakes made in field sales, so you don’t have to. . . EVER AGAIN. First of all, you can CALL US. Our number is (973) 955-4747. That’s Ken’s extension. We’re here to assist you and walk you through the process from concept to prototype to production. 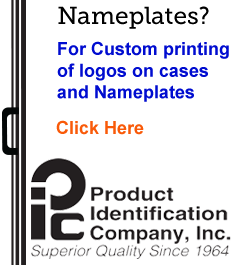 Order your custom sample case today. Phone Shy? No worries. We work with shy companies too. Simply complete the form shown below and if possible upload a photo of your product(s). When taking the photograph, please put a ruler or tape measure next to your stuff to give us an idea of its size/scale. Also, indicate the weight of each item. Before You Call. . .
We’re going to want to know a few things right off the bat, so please read the questions below right before you call. Is this for a sales person? Is it carried or shipped? Both? How many items will go into the case? What are their size and weight? Will they need to operate inside the case? How many cases will you need? (required) What kind of cases?